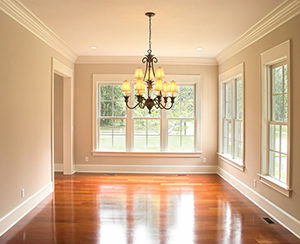 Looking for Custom-Made Windows for Your Home in Jacksonville, FL, or Another Surrounding City? Along with being custom-made to fit inside your home’s walls, our models have also received an ENERGY STAR® rating for their energy efficiency. When Green Machine installs your windows, we limit the possibility of cracks in the walls they are mounted in. This precise installation paired with our energy-efficient products will lessen heat transfer into and out of your home, allowing your HVAC system to cycle less frequently to maintain an ideal indoor temperature. This will keep you comfortable indoors throughout the hot summers and chilly winters, and it can also lead to lower energy bills and fewer greenhouse gas emissions all around. New windows are a wise investment if you want better energy efficiency and enhanced curb appeal. Contact Green Machine today if you’d like to learn more about all the benefits our windows offer for homeowners in Jacksonville, FL, and all nearby cities.